As you embark on your job search, prepare for an interview or conduct competitive intelligence during your career, you may find yourself searching for information about a company or industry. While a company’s website is the natural place to start your search, there are other resources that you can use to find this type of information. I have divided the resources below into those that are best for company information and those that are best for industry information. However, several resources, including ABI/Inform Collection, D&B Global Business Browser, Nexis Uni and Factiva, provide both types of information. Many business databases utilize industry classification codes, which group similar products and services, to organize information. Using these codes in your search can help you find information about a particular industry. The standard industry classification code system in the United States is the North American Industry Classification System (NAICS), which replaced the Standard Industrial Classification (SIC) system. Some business databases still SIC, although it is no longer updated. The NAICS code sector most likely to be of interest to you is 32541, Pharmaceutical and medicine manufacturing. ABI/Inform Collection: Business literature database. Indexes journals, case studies, working papers, reports, newspapers and trade magazines. Use search fields to restrict search to company or publication title. Full text available for most documents. Requires Tufts username and password to access. D&B Global Business Browser: Detailed company profiles, news and industry reports, compiled by Dun & Bradstreet. Search by company name or build a list of companies based on the criteria of your choice, such as location, industry or size. Requires Tufts username and password to access. Massachusetts Biotechnology Council (MassBio): Nonprofit organization that provides services and support for more than 1,000 Massachusetts-area biomedical companies, academic institutions and organizations. To discover local companies, search the membership directory by category and subcategory. The Career Center offers job search advice and job postings. Free public access. Nexis Uni: Formerly LexisNexis Academic, this database provides news, business and legal information from journals, newspapers, television broadcasts and legal proceedings. To find company profiles, click the ‘Company Info’ button on the homepage. Requires Tufts username and password to access. ReferenceUSA: Directory of more than 15 million public and private companies in the United States. 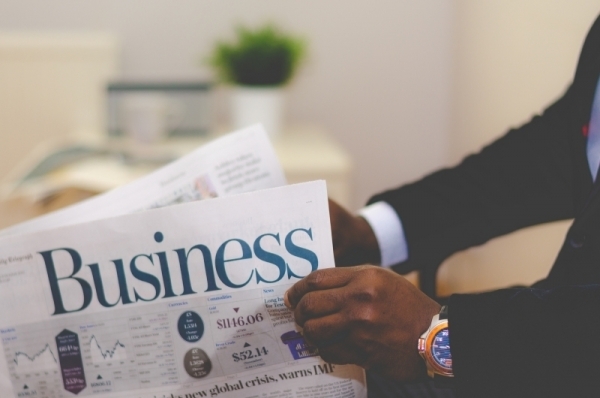 Particularly useful for finding information on smaller companies. Search by company name, business type, location, or even executive gender or ethnicity. Requires Tufts username and password to access. Biotechnology Innovation Organization (BIO): Representative organization for biotechnology companies, academic institutions and associations in the United States and around the world. Resources available on the BIO website include industry analysis reports, a blog and SmartBrief, a daily newsletter that provides summaries of news from the biotech industry. Free public access. Factiva: From the Dow Jones Company, this global news database provides the full text of thousands of newspapers and trade magazines. Also searches select websites and blogs. Search by company or industry. Alternatively, click the ‘Companies/Markets’ tab in the menu bar to view company and industry snapshots. Requires Tufts username and password to access. Harvard Business School Working Knowledge: Harvard Business School newsletter with articles, case studies, op-eds, classroom lessons and working paper summaries that connect “leading edge research and ideas on business management with practitioners, thought-leaders and academics”. Browse by topic, industry, geography or publication-type category. Free public access. McKinsey & Company Insights: Articles, interviews, videos and commentaries on the pharmaceutical and medical products industry, from the consulting firm McKinsey & Company. Free public access. Milken Institute: Think tank devoted to “collaborative solutions that widen access to capital, create jobs and improve health.” Work is centered around eight centers that explore the interaction between business, health and policy. Browse the institute’s core publication, Milken Institute Review, by topic, or search the institute’s publications, videos and events by issue. Pharmaceutical Research and Manufacturers of America (PhRMA): Trade organization for U.S. biopharmaceutical companies. PhRMA publishes reports, policy papers, news articles and an annual industry profile. Free public access. PricewaterhouseCoopers: Analysis of industry trends, issues and opportunities in pharmaceuticals and life sciences from the audit and consulting company PricewaterhouseCoopers. Tufts has an institutional license for LabArchives, an electronic lab notebook. Your lab may already be using this tool, but if not, read on for information on what LabArchives is, and how you can use it in your work. LabArchives is a web-based electronic lab notebook, designed to replicate and enhance the features of a traditional paper notebook. 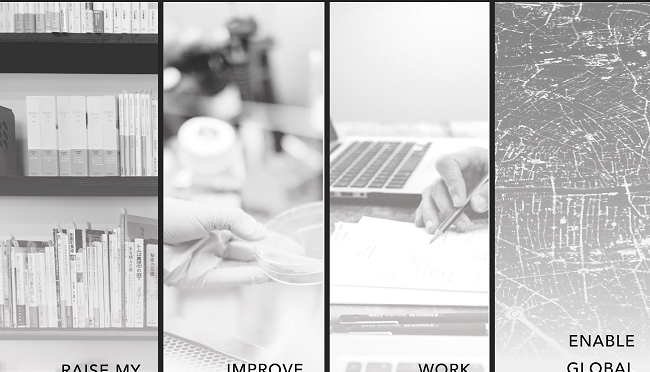 LabArchives allows you to electronically document your experiments, store files, search content, manage version history, and collaborate with others. How do I access to LabArchives? While LabArchives is designed as a collaborative tool for research labs, anyone at Tufts can contact Tufts Technology Services to request access: tts-research@tufts.edu. Once a LabArchives account has been created for you, then access the login page from your preferred browser (Chrome, Firefox, Internet Explorer, or Safari): https://shib.labarchives.com/select_institution. Select ‘Tufts University’ from the dropdown menu (if you are on campus, then this option will already be selected), click ‘Go to Your Institution’s Login’, and enter your Tufts username and password. LabArchives is also accessible via a mobile app for Android and iOS devices. Tell me a little more about what I can do in LabArchives. What types of files can I store LabArchives? Any type of file can be stored in LabArchives. Files up to 15 GB can be uploaded to a notebook page. If you need to reference a file that exceeds this limit, then you can store the file elsewhere (e.g. Box, research storage drive) and link the location path to your notebook. Your LabArchives at Tufts account has unlimited storage. Can I view and edit files in LabArchives? LabArchives is integrated with Office Online and GraphPad Prism, which allows you to view and edit Word, Excel, PowerPoint and Prism documents from within your notebook. In addition, an Office plugin enables you to save documents to LabArchives while working in Word, Excel or PowerPoint on your desktop. Most image files can be viewed and edited in LabArchives. PDF documents can also be viewed in LabArchives. Can LabArchives be used to store personally identifiable and/or medical data? No. LabArchives does not meet the standards necessary to comply with Health Insurance Portability and Accountability Act (HIPAA) or Family Educational Rights and Privacy Act (FERPA) standards. How does LabArchives allow me to collaborate with others? You can share an entire LabArchives notebook or an individual folder, page or entry with other LabArchives users, at Tufts or other institutions. As a notebook owner, you can choose whether you provide read/write or read-only access to your content. Permissions can be changed at any time. How can I access my LabArchives notebooks when I leave Tufts? Prior to leaving Tufts, you should confer with your PI about transferring ownership of your LabArchives notebooks to another LabArchives user in your lab. In order to continue to have access to your notebooks, you will need to create a free individual LabArchives account or, if you are going to another institution with LabArchives, an account at that institution. You can also download either an HTML or PDF version of your notebooks, for offline reading and storage. What are the next steps if I want to start using LabArchives? To request access to LabArchives, contact Tufts Technology Services: tts-research@tufts.edu. For quick start guides, frequently asked questions and troubleshooting, go to the LabArchives help page: http://labarchives.kayako.com/. For help with data management best practices, such as file structure, naming and metadata, contact me: laura.pavlech@tufts.edu. Springer Nature Experiments, which I featured in my October post is now available. 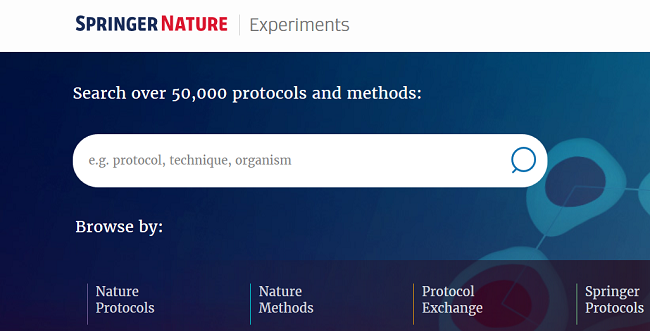 This platform searches four protocol and method resources simultaneously: Springer Protocols, Nature Protocols, Nature Methods, and Protocol Exchange, providing easy access to more than 50,000 protocols and methods. Unique indexing means that you can quickly find protocols and methods for a particular organism, common and emerging techniques, or videos. When you find one that works, then you can click through to the full text, available through Tufts Libraries. This historical novel tells the story of a woman who becomes a diver at the Brooklyn Naval Yard during World War II, and her father’s entanglements with the mob. 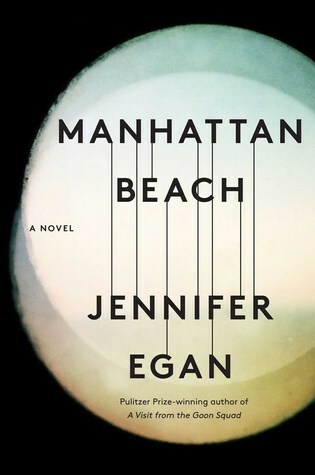 One of The New York Times 100 notable books of 2017. Location: Search for ‘Embase’ in search box on Databases tab of the HHSL homepage (http://hirshlibrary.tufts.edu/). This database indexes biomedical journal articles and conference abstracts. The database includes thousands of journals not indexed by MEDLINE (PubMed), and is particularly robust in its coverage of pharmaceutical and medical device literature and conferences. Unique indexing, through its Emtree controlled vocabulary, and search features make it easy to retrieve precise results. 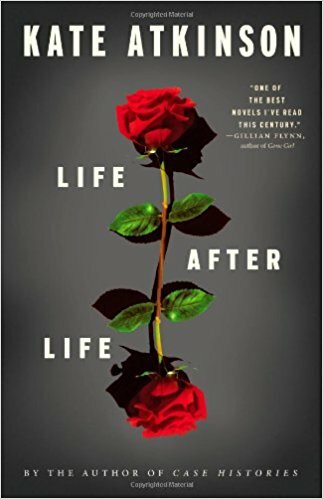 Life After Life is a novel about an English woman who lives through the events of the first half of the 20th century again and again, with small, but critical, changes each time, reminiscent of Ray Bradbury’s short story, A Sound of Thunder. A God in Ruins is the companion novel to Life After Life, following the brother of the main character in the first novel through his experiences in World War II to the present day. Search for the book in JumboSearch, which is the default search on the Hirsh Health Sciences Library homepage. 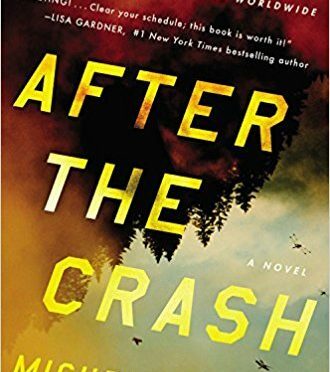 Once you find the book, click the title to view the record for that book. Click the ‘Log in’ link in the yellow box. Log in with your Tufts username and password. Once you have logged in, click the ‘Request item’ link. Choose your pickup location (Hirsh Health Sciences Library) and click ‘Request’. You will be notified via email when the book is ready for you to pick up. PubMed is just one database from the National Library of Medicine (NLM). The National Center for Biotechnology Information (NCBI), a division of the NLM, maintains several molecular biology databases. These databases link to one another and to PubMed. This month, I’ll describe how to find information about a gene in PubMed and the Gene database. Which NCBI resource(s) should I use to find information on a gene? You can start in either PubMed or Gene, a database of known and predicted genes for a several species. Each record is devoted to a single gene and may provide information on nomenclature, chromosomal location, gene products, phenotypes, and interactions, as well as links to literature, sequences, and other NCBI and external databases. 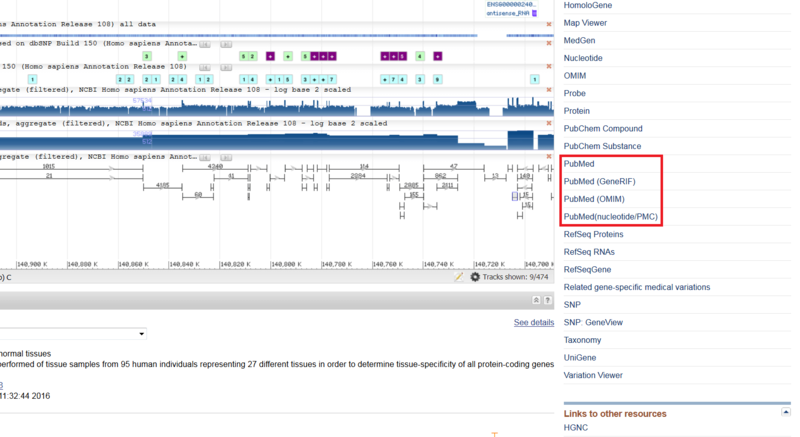 Consider a Gene record a gene’s homepage in NCBI. I’ll begin in PubMed because it is the database with which you are likely most familiar. In the PubMed search box, you can enter either a gene’s name or symbol. To activate the Gene Sensor (see next question), use the official gene symbol, which can be found at genenames.org, the site for the HUGO Gene Nomenclature Committee (HGNC). The HGNC assigns standardized names to human genes. What is the PubMed Gene Sensor? Gene Sensor checks the gene symbol that you enter against symbols in the Gene database and, if a match is found, displays links to information about the gene in NCBI databases at the top of your PubMed search results. These links include: the records(s) for the gene in the Gene database; articles on the gene’s function (GeneRIF; see below); and tests in the Genetic Testing Registry. Choose the link to the gene’s record in the Gene database. The first option will be for the human gene, with links for other species, if available, following. What if my initial PubMed search does not activate the Gene Sensor? If you do not see the Gene Sensor box at the top of your PubMed results, then you can search the Gene database directly by selecting ‘Gene’ from the drop-down menu next to the search box. Enter a gene name or symbol, species, or disease. How do I find information once I am in a Gene record? Use the Table of Contents in the right-hand column of the record to navigate to specific information about the gene. Scroll down to the ‘Related information’ section of the right-hand column for links to information about the gene in other NCBI databases. So how does this help me find PubMed articles about a gene? PubMed: Articles that have been indexed with the Medical Subject Heading (MeSH) of the protein that the gene codes for, combined with the subheading ‘genetics’. For example: ‘Hemochromatosis Protein/genetics’[MeSH]. 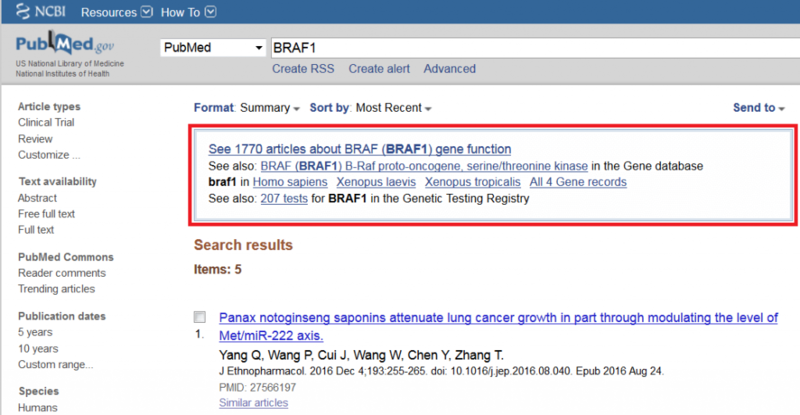 PubMed (GeneRIF): Articles that focus on the function of a gene. GeneRIFs (reference into function) are identified in three ways: by National Library of Medicine staff; by volunteer collaborators who submit a function, and article(s) describing that function (if you know of, or have authored, an article about a gene’s function, then you can submit a GeneRIF); through reports from HuGE Navigator, a human genome epidemiology knowledge base from the Centers for Disease Control and Prevention. PubMed (GeneRIF) also includes articles that describes a gene’s interactions. PubMed (OMIM): Articles cited in Online Mendelian Inheritance in Man (OMIM) records. OMIM is a compendium of human genes and phenotypes. 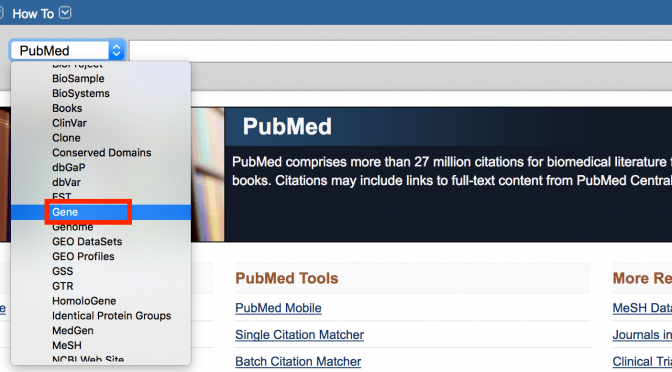 PubMed (nucleotide/PMC): Articles identified from shared sequence and PubMed Central links. Each set of articles is continuously updated. Use these links to retrieve the set of articles that best describes the type of literature you are seeking. What if I want to find all the literature on a particular gene in PubMed? If you want to do a comprehensive PubMed search for literature on a gene, then use the Gene record and HGNC (genenames.org) to identify the gene’s current and past names, symbols, and synonyms. Use ‘OR’ to combine these keywords with the MeSH term for the protein that the gene codes for, with the subheading ‘genetics’. Some genes, but not all, genes also have a MeSH term for the gene itself. You may get a lot of irrelevant results with a comprehensive search because many gene symbols are not unique. Therefore, this search would likely have to be combined with another concept, using ‘AND’. 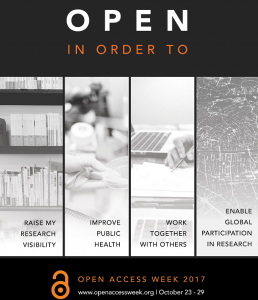 In honor of international open access week, which is October 23-29th, I decided to devote this month’s column to demystifying open access. Open access removes the legal, financial and technical barriers to reading, downloading and reusing research articles. While open access publishing models vary, SPARC considers the terms of the Creative Commons Attribution license (CC BY), the standard for open access. This license grants users the right to share and adapt the material for any purpose, including commercial, provided they properly attribute the authors. Several major open access publishers, including BioMed Central and PLoS, apply the CC BY license to the articles that they publish. How can I make my article open access? There are two primary mechanism by which you can make an article open access: submit your article to either an exclusive (all content open access) or hybrid (some content open access) open access journal; or deposit your final peer-reviewed manuscript in an institutional or discipline repository, such as PubMed Central. The latter option can only be done with the permission of the journal that has accepted your article for publication. This can be written into your author’s agreement. Some open access journal charge authors an article processing charge (APC). These charges allow the journal to cover the costs of publishing, and range from hundreds to thousands of dollars. Reputable open access journals collect APCs only after an article has been peer-reviewed and accepted for publication. Many funders allow grant funds to be used to cover the cost of publishing in an open access journal. Tufts Libraries have memberships with select open access publishers and journals; Tufts authors who publish in these journals can receive a discount on their APCs. For more information, see OA Support at Tufts. Why would I pay to publish in an open access journal? Open access expands your audience by allowing anyone, not just those who are willing or able to pay for a journal subscription or individual article, to read your article. A broad audience means your work receives more recognition, and may be used in novel ways that you did not anticipate. Where can I learn more about open access publishing and choosing a journal for my manuscript? For more information about choosing where to publish, including resources to evaluate open access journals, see ‘Where to Publish’ in our Measuring Research Impact guide, or contact me (laura.pavlech@tufts.edu). BrowZine provides direct access to the library’s electronic journals, allowing you to browse full contents of current and older issues, create a personal bookshelf, and save and download articles for offline reading. Download and open the app on your Apple, Android or Kindle Fire device, or go to https://browzine.com/. Choose Tufts University from the list of available libraries. Enter your Tufts username and password. 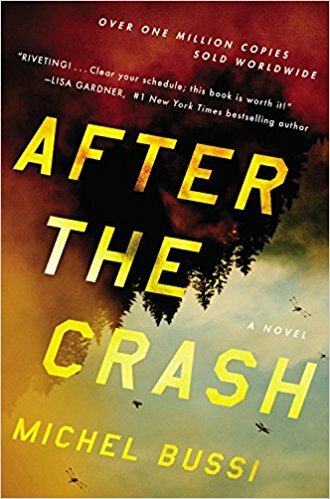 As summer comes to a close, make time for one more beach read with this thriller about determining the identity of the sole survivor of a plane crash in the Swiss Alps. 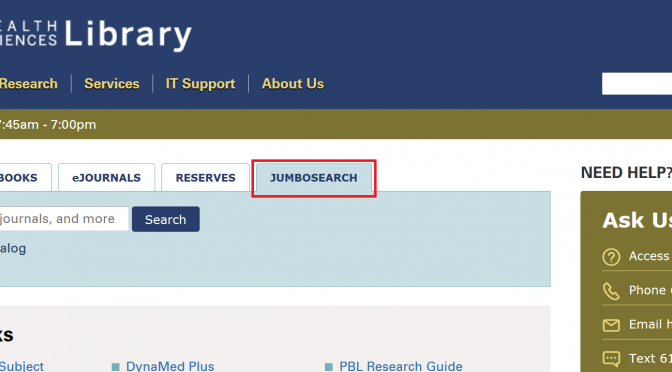 In June, Tufts Libraries launched a new iteration of our search platform, JumboSearch. This means that the way you search for resources (books, journals, databases, articles, etc.) available through our libraries has changed. This new search platform is part of our transition to a new integrated library system, which will improve how we manage our resources. Here is a brief primer on how to use JumboSearch to find the resources you need. How do I access JumboSearch? The search box at the center of the Hirsh Health Sciences Library homepage (https://hirshlibrary.tufts.edu/) is for JumboSearch. 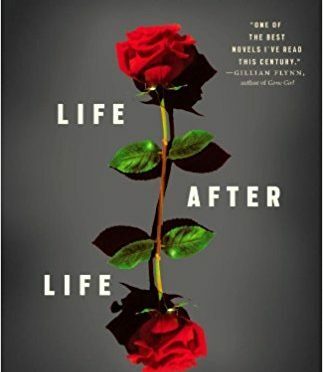 How do I find a book in JumboSearch? Enter a title, author or keyword in the search box at the center of the Hirsh Health Sciences Library homepage. Use the filters on the left side of the results page to limit your search to books. 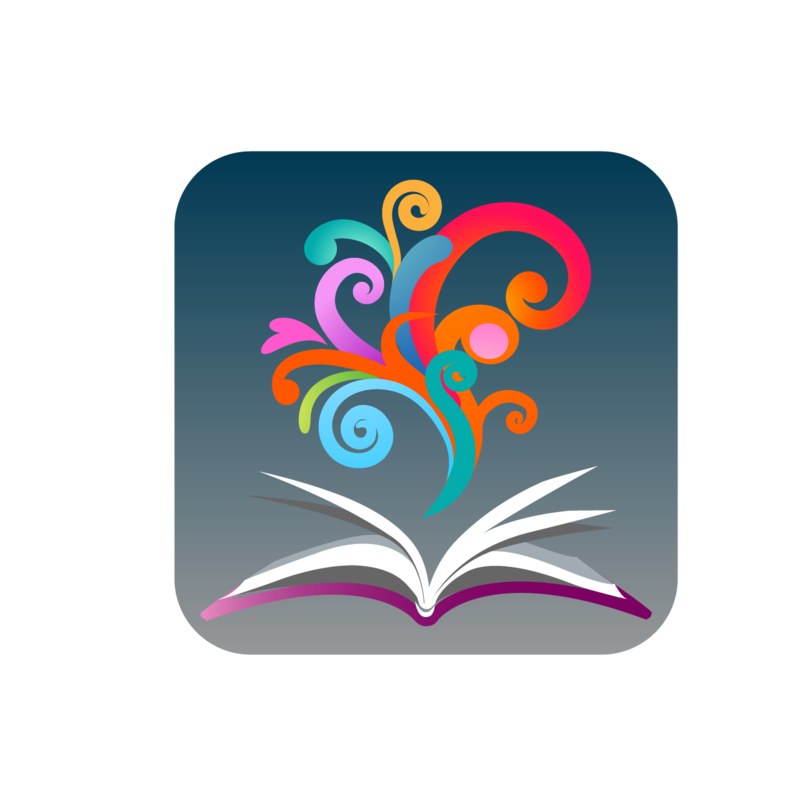 Once you find the book that you need, click the title to view additional information, such as location and availability, and, if it is available electronically, access the full text. What if the book I want is located at another Tufts library? If the book is located at another Tufts library, then click the title of the book on the JumboSearch results page. Select the ‘Log in’ link in the yellow bar at the center of the page. Once you have signed in with your Tufts username and password, click the ‘Request item’ link to request delivery of the book to the Hirsh Health Sciences Library. 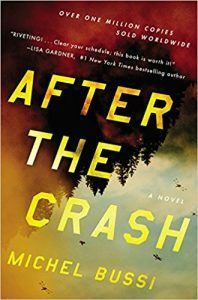 You will receive email notification when the book is ready for you to pick up at our Library Service Desk. Enter the title of a journal in the JumboSearch box at the center of the Hirsh Health Sciences Library homepage. If the journal is available through our libraries, then the title should appear at the top of the results. Click the title of the journal to view print and electronic availability. Another (and I find more efficient) method of finding a journal is to click the ‘Journals’ tab at the top of any JumboSearch page, which brings you to a page where you can search or browse our Journal list (versus all of our resources). Can I use JumboSearch to find the full text of an article? Yes! If you have the title of a journal article and want to know whether or not the full text is available through Tufts, then copy and paste the title into JumboSearch. If necessary, use the filters on the left side of the results page to narrow your results. Once you find your article, click the ‘Full text available’ link. Use the ‘Log in’ link in the upper right-hand corner of any JumboSearch page, or in the yellow bar at the center of an item details page. In your library account, you can see the items that you currently have checked out (including interlibrary loan books), requests, fines and blocks, as well as renew Tufts Libraries’ books. Every month, librarian Laura Pavlech from the Hirsch Health Sciences Library helpfully provides us with invaluable tips and reminders about resources that are available to the graduate student population to help with their research and other academic needs. Thanks again to Laura for assembling these wonderful aids!